Shoaib Malik has had one of the most intriguing cricket careers. He made his debut in 1999 – in 16 years of international cricket, we still don’t really know what his role exactly is. He is one of the very few cricketers who have played in every position from one to 10 in ODIs. Is he a batsman? Is he a bowler? Is he an all-rounder? He is definitely one of the best fielders in the Pakistan team; no one makes a catch in the outfield look as easy as Malik does. But what his role exactly is in the Pakistan team will probably be defined during the last phase of his career that started with his international comeback earlier this year. I first remember watching a young 14-year-old Shoaib Malik play in the Lombard U15 Challenge in 1996. He was part of the Pakistan U15 team in that tournament and played as an up and coming off-spinner. I remember watching him deceive batsmen with a spin that turned outrageously similar to the turn that the great Muralitharan used to extract. At that time, Saqlain Mushtaq had recently made his debut for Pakistan and watching Malik was like watching a young Saqlain. He had a similar action and bowled just as well as the inventor of the doosra. I wondered when I would see him play for Pakistan. It has been 16 years since Malik made his international debut. In those 16 years, despite periods of greatness, he is yet to define his established role as a Pakistan cricketer. His ODI career can be divided into nine distinct phases, including the current one, which might as well be the one that really defines him. Malik got his first international call three years later in 1999, when he was selected to replace an injured Saqlain, as part of Pakistan’s ODI squad for the triangular series against West Indies and Sri Lanka in Sharjah. He played five games in that series and was the second highest wicket-taker for Pakistan with nine wickets at an outstanding average of 18.11 and an excellent economy of 4.16. If it wasn’t for Azhar Mahmood’s six-wicket haul in one of the matches, Malik would have been Pakistan’s highest wicket-taker in his debut series. Malik made sure that no one missed Saqlain during that series, and in 1999, that was an achievement and a half as Saqlain had already made his mark as a world class off-spinner and was touted as one of the best in the business along with Muralitharan. For the next two years, Malik continued to play as an off-spinner, but sparingly, filling in for Saqlain when required. But he never really lived up to the expectation that he had created after his debut series. After playing 20 ODIs in two years, his record was 19 wickets at an average of 36.1 – hardly the numbers of a successful spinner. As Malik’s stock as an off-spinner dipped, someone realised that he has potential of a batsman. In his first 20 ODIs, Malik continuously batted at eight, nine or 10 and didn’t show much signs of being a good enough batsman to bat in the top order. He got an inning at six and another at seven also, but without much success. His 11 innings in his first 20 ODIs yielded 145 runs at an average of 18.1. However, under Waqar’s captaincy, in the series against the West Indies in Sharjah in 2002, he batted at number four, and in his first innings in the top order, he scored an unbeaten 111. He followed that up with another century two ODIs later, this time as an opener. He enjoyed a decent run in the top order mustering 369 runs, including two centuries, in 10 innings at an average of 41.00. Despite this performance, he did not make it to Pakistan’s squad for the World Cup in 2003. He returned to the squad following the World Cup under the captaincy of Rashid Latif and slotted at number six. For the next year, he remained in the lower order, fluctuating between six, seven and eight, and played the role of an off-spinning all-rounder. His batting exploits in those positions were just about average as he notched up 750 runs in 34 innings at an average of 25. He managed four 50-plus scores during this time, however, his bowling was not much to talk about as he managed to pick up 33 wickets at a mediocre average of 40. In the course of that year, Inzamamul Haq had taken over as captain of the team, and Bob Woolmer has joined as head coach. Realising that Malik’s talent was being wasted in the lower order, they decided to move Malik back up the order again, where he had briefly displayed his ability under Waqar Younis. Malik got this chance at number three during the Asia Cup in 2004 and immediately repaid the faith of the leadership with scores of 118 and 143 during the tournament. For the next two years under Inzamam, Malik remained Pakistan’s permanent number three in ODIs. In 44 innings during this period, with all of them at three besides a couple at four and six, he smashed 1,713 runs at an average of 41.8. His runs tally included three centuries and 14 50-plus scores including two 90s and an unbeaten 86. During these two years, Malik showed the world that he belonged among the best ODI batsmen in the business. His bowling took a back seat during this period as he concentrated on delivering as a batsman and he did it extremely successfully. After a successful stint at number three, Inzamam and Woolmer now decided to use Malik as an opener to fit Younus Khan in at three, whose ODI stocks were also increasing and being wasted at five or six. For the next six months, Malik opened for Pakistan, albeit with limited success. In seven innings as an opener, he managed only 141 runs with a top score of 46. Realising that the experiment had not worked, Malik moved back to number six since Younus had firmly made the number three spot his own. Back in the lower order, Malik rediscovered his form and shone as a batsman again. In these six months, including the World Cup in 2007, Malik batted in 15 innings at number six and notched up 406 runs at an average of 40.6, including three 50-plus scores and as many quick-fire 40s. Malik had truly flourished as a batsman under the leadership of Inzamam and Woolmer. The former had also identified him as a future captain given his rise as a batsman with a sound head over his shoulders. 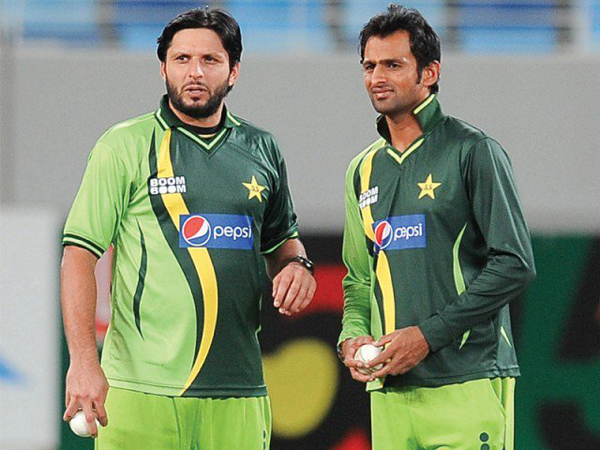 Following Woolmer’s tragic death and Inzamam’s retirement after the World Cup 2007, Malik was chosen to lead Pakistan. For the next two years, he captained Pakistan and further flourished as a batsman. Preferring to bat at number five as captain of the team, Malik shone as a middle-order batsman for Pakistan. In 33 innings as captain, mostly at five with a few as an opener, Malik notched up 1,225 runs at an average of 43.75. He scored one century and 10 50s during this period. His captaincy period, however, was filled with team politics and controversies. Somewhere down the line, he lost trust of the seniors, namely Yousuf, Younus, Afridi, Akhtar, and Razzaq, all of whom felt that one of them should have been leading the team. Despite a reasonably successful stint as captain, and even more so as a batsman, Malik’s run as captain was cut short in 2009 due to team politics. Younus, who would have been captain instead of Malik in 2007, had he not turned it down after the World Cup, was now given the captaincy. For the next two years, Pakistan went through several captains, namely Younus, Yousuf, and Afridi as team politics ran rampant and Pakistan remained largely unsettled. And so did Malik. Team politics hampered Pakistan’s former captain and main ODI batsman the most as he failed to find a settled spot in the XI and remained in and out of the team. Even when Pakistan finally settled to some extent under Misbah from 2011, Malik was not a permanent feature of the team. He faced several axes and several recalls to the team and batted in all positions between three and eight during the four years between 2009 and 2013. Such inconsistency can bog down the best of them and Malik never recovered his old touch. In 39 ODI innings during this period, Malik managed to score only 741 runs at an average of 21.17. This was easily his worst phase as a batsman and in 2013 he found himself out of the team for good. It had been six years since a team had toured Pakistan for an international cricket series. That last time an ODI series was played in Pakistan, Malik was captain. So earlier this year when Zimbabwe decided to tour Pakistan for three ODIs, the selectors decided to plug the experience gap in the middle-order created by Misbah’s ODI retirement and Younus’s lack of ODI form. Their answer was Shoaib Malik who had not played ODI cricket for Pakistan for two years. Malik earned yet another recall to the side under the captaincy of Azhar Ali, and in his first ODI in two years, he smashed 112, his first ODI century, in fact, his first score above 43 in six years! In his ODI comeback, he batted at three; however, since then, Malik has slotted into the number five position and has smashed 500 runs in 11 innings at an even average of 100! His remarkable comeback to the ODI team has yielded scores of 112, 26*, 55*, 51, 42*, 96*, and 34*, among others. In a team that was lacking middle-order experience, Malik has taken over the responsibility like never before and is looking like the great ODI batsman he once was. His run of form has not been restricted to ODIs only and he has continued in the same vein in T20s also, a format of the game in which he is a giant in leagues all around the world. His comeback to the team has been so remarkable that he has picked up the ‘Man of the Series’ Award in two of the three series he has been involved in this year. This rich vein of form with the bat resulted in the selectors picking him for the Test series against England. Even though Malik had shown glimpses of being a great Test cricketer during his unbeaten 148 against Sri Lanka in 2006 where he batted for over eight hours to help save a Test match, he never really made it as a Test batsman. An average of 33 across 32 Tests does not make a world class Test batsman, and Malik’s Test career went down the same road as Afridi’s and Abdul Razzaq’s, who also showed traces but never really made it in Tests the way they did in limited-overs cricket. – Not only was it his first double century in a Test, it was his first ever double century in first class cricket. 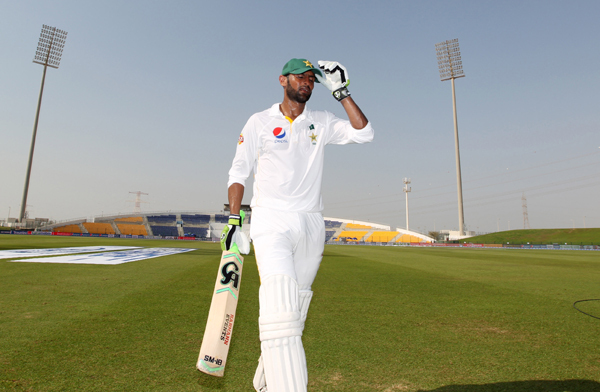 – It is the highest score by a Pakistan batsman in Tests in Abu Dhabi, and second highest score in a Test in Abu Dhabi. – It is the second highest score by a Pakistan number three in Tests against England, and the fourth highest score by a Pakistan number three in all Tests. 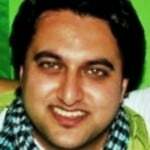 – He was involved in Pakistan’s fourth highest partnership ever, and the highest in Tests against England, for the fifth wicket. 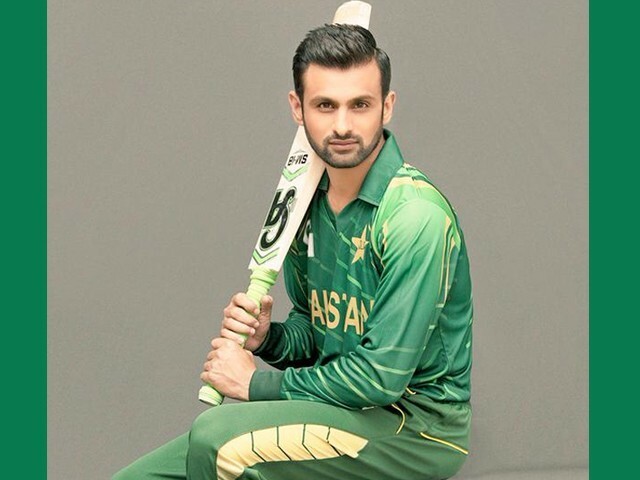 Malik has been playing international cricket for 16 years and even though he had periods that defined his role in the team, he never really established his position for an elongated period. After his comeback in 2015, however, in what is the final phase of his career, Malik has taken it upon himself to define the type of cricketer he would like to be remembered as. For as long as I have been watching cricket, I have rarely witnessed the sort of comeback Malik has made to international cricket this year. Though he has retired from Test cricket, 2015 has been a remarkable year for him and for him to do it after 15 years of international cricket baggage, is nothing short of phenomenal.